Hall Of Fame - Ariana Grande! It's week 6 of Hall of Fame and this week the spotlight is on Ariana Grande! Ariana Grande, 25 year old female artist from Florida, US has been topping and charts and on our TV's since 2008! Her music career began 7 years ago in 2011 when she done the soundtrack for hit TV show "Victorious". Her first studio album "Yours Truly" she released in 2013 and it made it into the Billboard 200. The hit single "The Way" from the album debuted at top 10 of the Billboard 100. So far in 2018, Grande's career has blown minds. Her fourth album "Sweetener" dropped in August and reached number one in the Billboard 200. Her music videos have been watched more than 10 billion times and she has sold 30.5 million singles just in the US alone. Three of her albums are also certified platinum. Many people compare Ariana to Mariah Carey in terms of vocals. Grande's second studio album, My everything released in 2014 was number one in the US and also charted top 10 in 24 countries! Several singles from her album made it into the Billboard Hot 100 and she therefore had the top 10 singles of any artist in 2014. To promote My Everything, in 2016 Ariana put on her first world tour. Also this year she released her third studio album "Dangerous Woman" and made it into the Billboard 200. The title track from the album made it into the Billboard top 10 which made Grande the first person in history to have three lead singles from three separate albums debut in the top 10 of the Billboard hot 100. Ariana Grande's fame took off in 2010 when she joined the cast of Nickelodeon show "Victorious" as she played Cat Valentine. Since then Grande has took her music career to another level and has had several celebrity relationships, including Jai Brooks, Nathan Sykes, Big Sean and Mac Miller. Although the singer has finally found her soul mate as she announced her engagement to lover Pete Davidson in June just two months after dating. It would only be right to mention Ariana Grande's 2017 concert in Manchester Arena. The tragic event occurred on May 22nd 2017 when a suicide bomb attack occurred at the end of Grande's show kill 22 civilians. 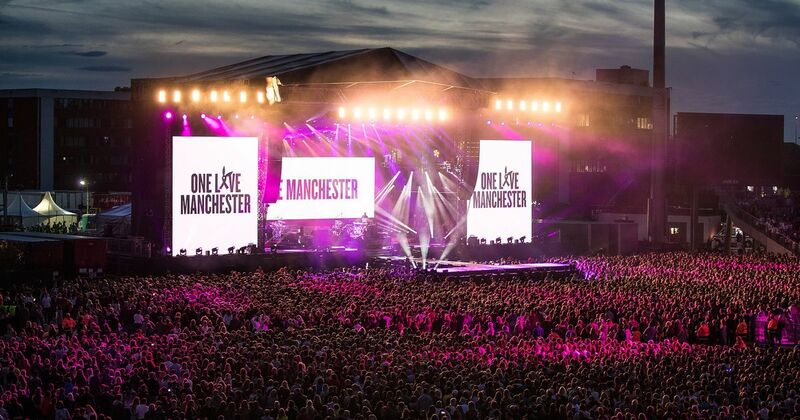 Grande cancelled the remainder of her Dangerous Woman Tour and in June 2017 returned to the stage to hold the charity concert "One Love Manchester" where artists came together to pay respects and show love despite the tragedy, Artists like Justin Bieber, Miley Cyrus, Coldplay and more supported the cause. You can donate or get involved here. Let me know in the comments which artists you would like to see in the future! I did not like the pastor who did grab Adriana's breast. What a shame for the church!! !